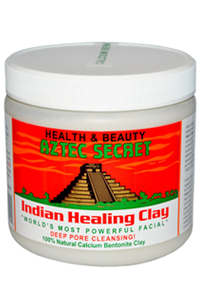 Feel your face pulsate with Aztec Secret Indian Healing Clay; 'The World's Most Powerful Facial." 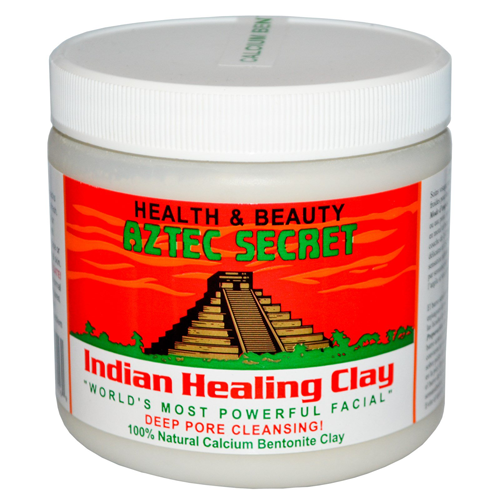 Aztec Secret Indian Healing Clay is perfect for facials, acne, bodywraps, clay baths, foot soaks, chilled clay for knee packs and insect bites! Enjoy the beautifying & refreshing benefits of clay in your own home. Mix Aztec Clay with equal parts Raw Apple Cider Vinegar and / or water. Use a non-metal bowl and utensil. Stir the mixture well to a smooth paste. Add more Clay or liquid as needed. Apply 1/4 in. to 1/2 in. to the face or other area. Let it dry for 5-10 minutes for delicate skin and 15-20 minutes for normal skin. You will feel a pulling and tightening sensation. Remove Clay by washing with warm water. Slight redness of the skin is normal and will disappear in about 30 minutes. Removes impurities and dirt from the pores. 454 grams of clay makes 10-15 facials. Use it once per week for the family, more often for problem skin. Men love it, too. For external use only. No animal testing. No animal products. Discontinue use if irritation occurs.